This workhorse provides vital logistical support. It costs $22.9 million, and can take off and fly at 33,000 feet with a 100,000-lb. payload of supplies or 92 troops, 64 paratroops, or 74 patients on stretchers. It has a top speed of 374 mph. 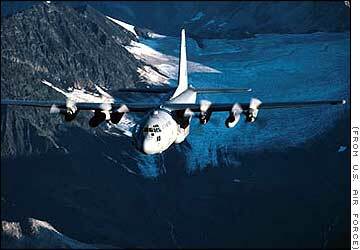 Maximum Load: C-130E/H/J: 6 pallets or 74 litters or 16 CDS bundles or 92 combat troops or 64 paratroopers, or a combination of any of these up to the cargo compartment capacity or maximum allowable weight. 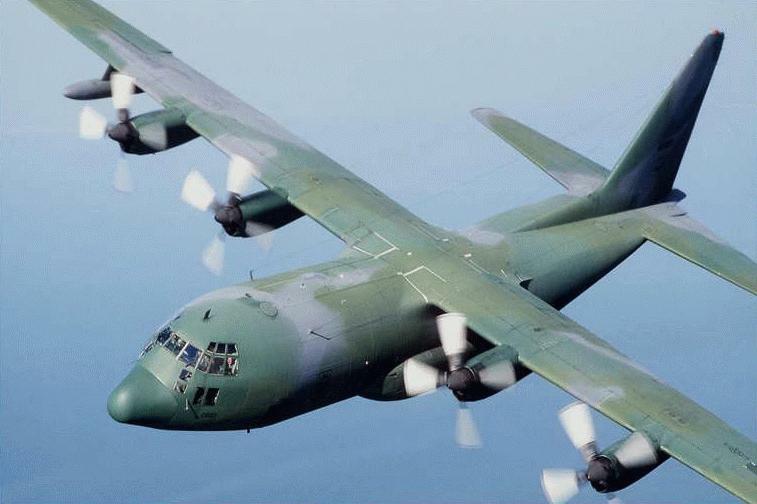 C-130J-30: 8 pallets or 97 litters or 24 CDS bundles or 128 combat troops or 92 paratroopers, or a combination of any of these up to the cargo compartment capacity or maximum allowable weight. The C-141 Starlifter was the first pure jet designed for cargo, and it's been a mainstay of U.S. military airlift since 1965. In 30 different configurations, it has seen, done and carried it all - troops, supplies, vehicles, weapons, refugees, disaster relief, even a huge high-powered NASA telescope - from the Persian Gulf to South America to Southeast Asia. Its easy-to-load 93-foot-long cargo bay can take up to 208 ground troops or 168 paratroops, and it can quickly be converted for med-evac operations. 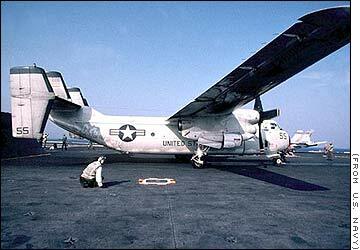 In 1983, after the bombing of the U.S. Marine barracks in Beirut, it was a C-141 that evacuated 78 wounded. Starlifters also brought flood relief to Minnesota in '79, to the Azores in '80, to Louisiana in '83. And when an airliner was hijacked in 1985, a C-141 carried the 39 hostages to freedom. 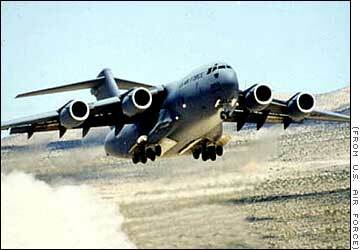 In Desert Storm, C-141s flew more than 37,000 departures with an on-time record above 90%. 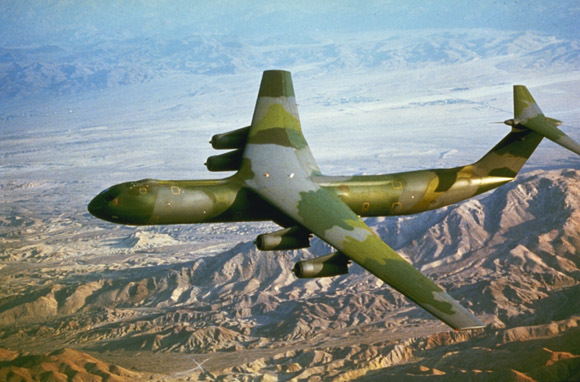 In fact, the C-141 has proven itself with nearly 9 million hours logged to date, including a record set in 1981 when a C-141 flew 67,000 pounds of cargo non-stop from New Jersey to Saudi Arabia, refueling three times in flight. With such an outstanding track record, the C-141 truly is a worldwide star.